The June 13, 2011 Council Meeting was called to order by Mayor Charles Norskog at 7:30 P.M.
Mayor Charles Norskog, Councilpersons Richard Hawkins, Thomas Sims, Brian Carsten and John Ruymann answered roll call. Motion was made by Councilperson Carsten and seconded by Councilperson Hawkins to excuse Councilperson Traci Fallow. Motion carried. Motion was made by Councilperson Carsten and seconded by Councilperson Sims to accept the minutes of the regular meeting of May 9, 2011 as presented. Motion carried. The public hearing was opened at 7:31 p.m. for public comment. Dan Thompson explained the City’s 6 year plan to the audience. One change to be made is with the State Street project and that is to delete “rebuild sub grade” as it is a chip seal overlay. Bill Scholl asked about funding for the various projects. It was explained these projects are in the planning stage and must conform with requirements for funding of projects through the Transportation Improvement Board to continue eligibility for funding through their programs. Public Hearing was closed at 7:38 P.M.
Mayor Norskog stated he is still working out of the area and, again, thanked Council and staff for their assistance. The Basketball court has been paved and is near completion. The City Attorney submitted a written report of legal activities as of June 13, 2011. Unfortunately, there still are a small number of residents who are not complying with the existing mandatory ordinance. Since there was a Judge’s ruling affirming the validity of the ordinance, the City will be going forward with enforcement actions. Dan Thompson read a report of activities as of June 20, 2011. Water: The annual Consumer Confidence Reports will be completed and mailed by July 1, 2011. Streets: Road striping has been scheduled during July. Years ago when the section of S Newton between Harris and Eagle was paved, the west line of the right of way was paved. Now a fence has been installed along the paved portion of the road. The question has arisen about the legality of the issue and the City Attorney asked to revisit the situation review. Fagerness Letter dated May 18, 2011 regarding the water rights proposal. No additional information has been received. Dispensary Memorandum dated May 18, 2011 from Mayor Norskog to the Medical Dispensary was included in Council packets. 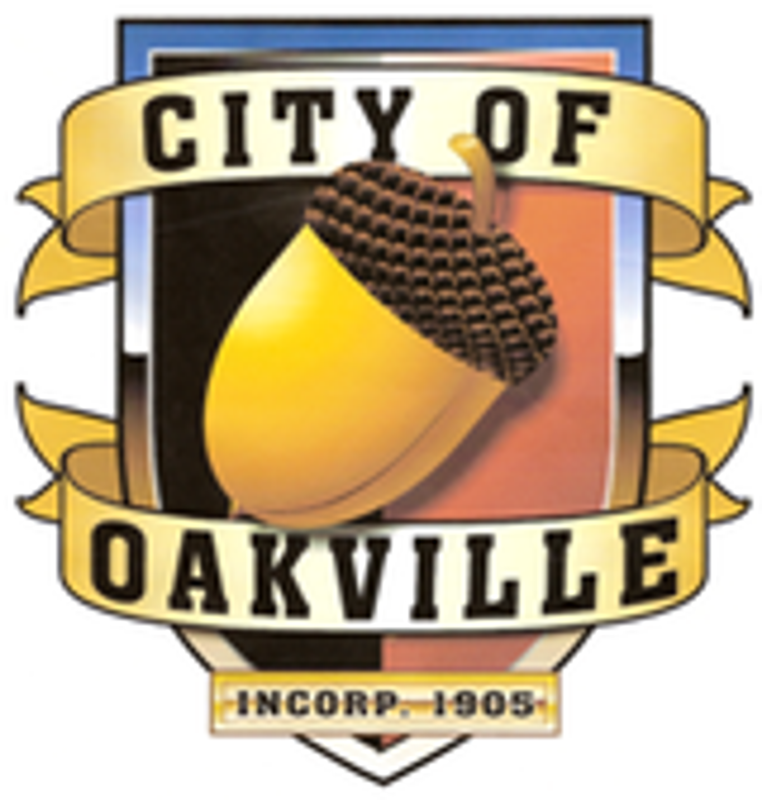 The Oakville Chamber of Commerce has applied for a Special Event Permit for the Independence Day Parade. Dan Thompson will review the application for completion of conditions. Resolution 375, Six Year Street Plan. Motion was made by Councilperson Hawkins to adopt the Six Year Plan with the amended change discussed in the Public Hearing. Seconded by Councilperson Carsten. Motion carried. Ordinance 587 Business Licenses. Council asked to table this ordinance to next council meeting. Also tabled for next meeting was Resolution 377, establishing the fee to be collected. Resolution 376, establishing a fee for special event permit. Motion was made by Councilperson Hawkins and seconded by Councilperson Carsten to adopt Resolution 376. Motion carried. The City Clerk presented Checks #16516 thru #16526 dated 05/23/11 in the amount of $1,537.71. Checks #16527 thru #16555 dated 06/10/11 in the amount of $22,919.76. Payroll Checks #11519 thru #11533 dated 05/27/11 in the amount of $11,630.27. Motion was made by Councilperson Carsten to accept the Clerk’s Report as presented. Seconded by Councilperson Sims. Motion carried. Councilperson Carsten asked about looking into some kind of incentive when someone builds a net zero energy home. He suggested this could be discussed at a future workshop meeting. Councilperson Ruymann wished all Council Members good luck on the upcoming election. Mayor Norskog also wished everyone good luck.